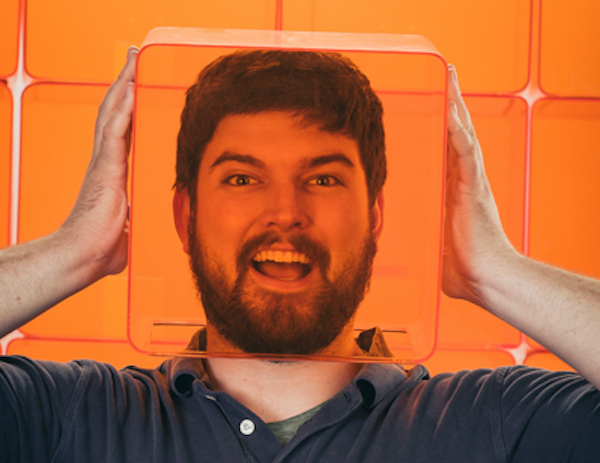 Austin is one of the all-star interns who has joined the Formlabs team this summer. We took a few moments to catch up with him, as he went about his work. Showing the incredible things that are being built by the Form 1+ from our community of fans and users, whether it be content about our new sample parts, stories around our power users or just cool projects you can do on your own. Matt Keeter’s Bumpy mp3 player was incredibly cool, so a few of us decided to try our hand at building our own. We designed and printed another version of Bumpy with a new exterior that has layered square extrusions, which I modeled in blender. I then printed the case in clear resin, which combined with Bumpy’s LEDs, made it look like a big flashing jewel. I’ve also been working on a new series of PreForm tutorials, delivered right to your inbox via email. Our goal for these is to allow our users to become PreForm “Masters of the Universe” with more ease. You can check them out by downloading PreForm and filling out the form that appears on the page after the download starts. Working in a multidisciplinary team. It’s incredible the diversity of talented people you get to work with on a daily basis at Formlabs. One day I’ll be working with our photographers and graphic designers, another day with the web team and customer support, and with the electrical engineering guys the day after that.